Press release: History made as tourist expedition gets close to Mawson’s Huts for the first time in seven years. Sydney, 2 January 2018 – An exclusive Chimu Adventures expedition cruise made history just prior to New Year’s Eve, visiting Cape Denison – home to historic huts from Sir Douglas Mawson’s scientific expedition to Commonwealth Bay, Antarctica. 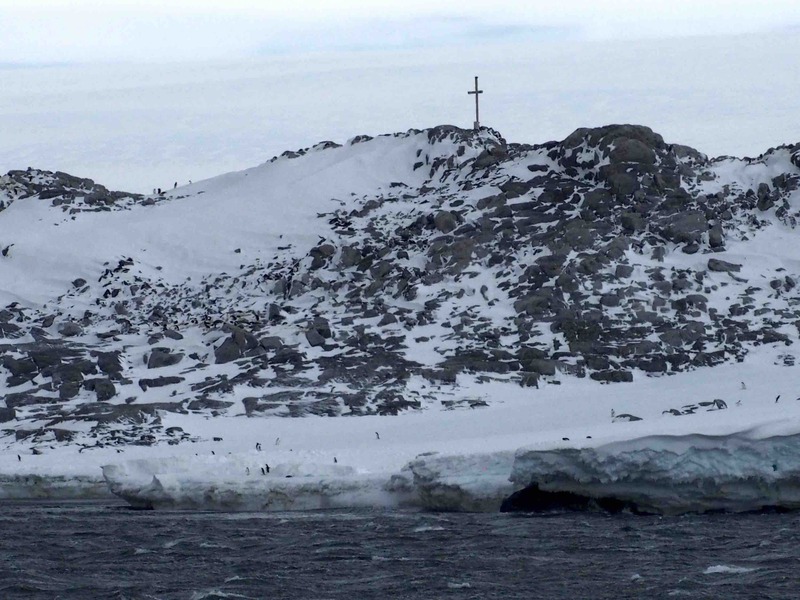 This is the first time in seven years that tourists have been close enough to see some of the buildings and Memorial Cross from the 1911 – 1913 Australasian Antarctic Expeditions due to limiting ice conditions previously. Just 46 guests from Australia, Switzerland, Taiwan and Singapore were aboard the expedition ship which departed from Hobart on 15 December 2017. They swapped a traditional Christmas for an Antarctic adventure, pushing through pack ice to reach Cape Denison, Commonwealth Bay on 23 December. 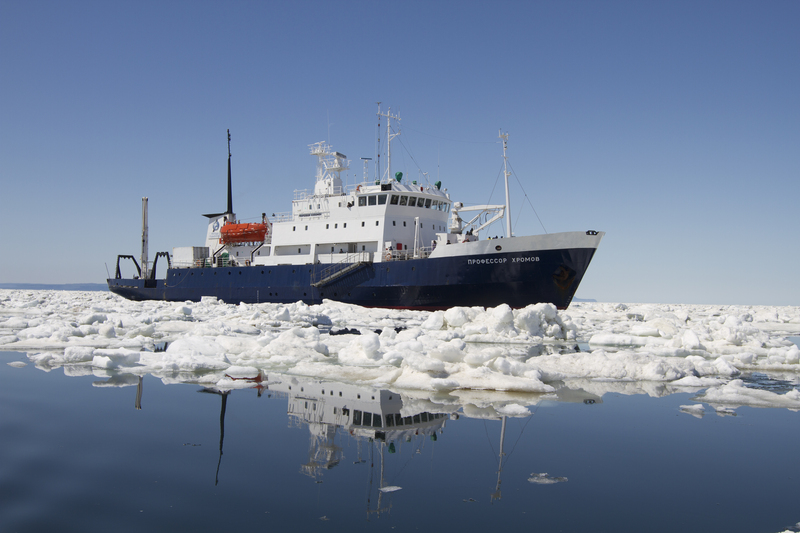 The Russian expedition ship, Akademik Shokalskiy, chartered by Latin America and Polar specialists Chimu Adventures in collaboration with the Mawson’s Huts Foundation, experienced a stormy journey across the Southern Ocean before reaching the windiest place on Earth. Mawson’s Huts have survived these conditions for over 100 years. Built by Mawson and his team in 1912, they are symbolic of Australia’s history of exploration on the white continent. Seven years have passed since the last tourists reached Mawson’s Huts, marking this Chimu expedition as a great success and an historical moment. Past attempts have been hampered by the huge iceberg B90B, which has blocked the entrance to Commonwealth Bay. Estimated at 140 kilometres long and 50 kilometres wide, tourist access to the huts was impossible. This year, there was a very narrow window of opportunity that allowed Shokalskiy to push through the pack ice to reach the anchorage just off Boat Harbour at Cape Denison late on the afternoon of 23 December. As the ship approached the coast, however, the notorious katabatic winds picked up to a screaming 70 knots and with pack ice to the north threatening to trap the ship, it was necessary to pull away. Despite numerous attempts over the next five days, the thick pack ice closed off Commonwealth Bay once again. According to the Mawson’s Huts Foundation, fewer people have visited the huts than have climbed to the summit of Mount Everest. Unfortunately, over the next few days, ice conditions didn’t allow the expedition to return to Cape to land and access the inside of the huts. 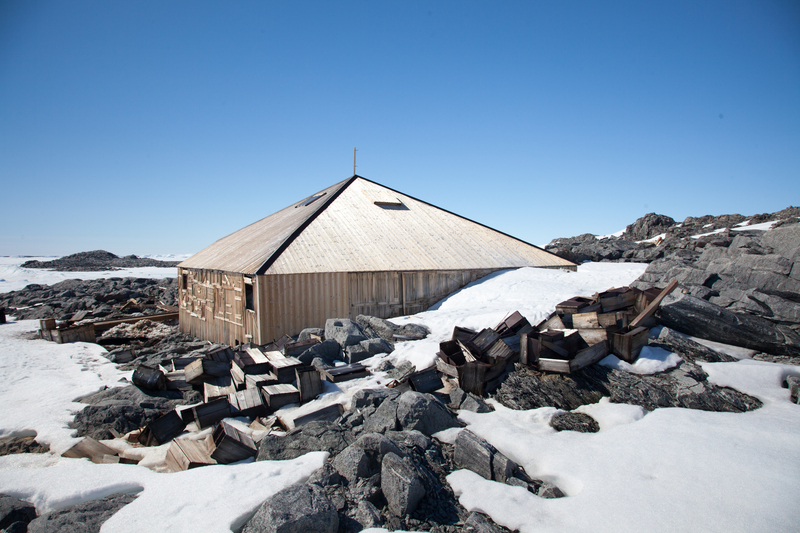 The Mawson’s Huts Foundation works to conserve the huts by raising funds to send specialist conservation expeditions to Cape Denison. The conservation efforts during the expedition that took place during the summer of 2015/2016, cleared the huts of 90 per cent of the interior ice. Chimu Adventures co-founder, Chad Carey, is delighted, “We have been tracking the movement of B90B for many years, hoping that the currents would move it out of Commonwealth Bay. Conditions this year looked the best they have been for some time so we were very hopeful of a successful visit, however, you never really know until you get there what Antarctica is going to dish up. Both Chimu Adventures and the Mawson’s Huts Foundation are very proud to have operated the only tourist voyage to sight Mawson’s Huts for the past seven years.” The event was particularly poignant for passengers Naomi and Jenny Hunter. The sisters’ grandfather, John Hunter, was chief biologist on the Australasian Antarctic Expedition between 1911 and 1913. Cruising for a total of 26 days with visits scheduled on Macquarie Island, Campbell Island, the Auckland Islands and the East Antarctic Coast, passengers will disembark in Bluff, New Zealand, on 8th January 2018. Inspired by the mission, Chimu has launched two new charter cruises to Mawson’s Huts for the 2018/2019 season: In the Wake of Mawson and Spirit of Mawson departing in December 2018 and January 2019 respectively. The December cruise will travel from Hobart to Bluff, while the January voyage will make the journey in reverse. Capacity aboard these exclusive voyages is strictly limited to less than 50 passengers so early booking is essential. Founded in 2004, Chimu Adventures is an Australian owned company offering fully flexible, guaranteed itineraries to Latin America, plus cruises to Antarctica and now the Arctic. Catering to clients of all ages, Chimu’s philosophy is simple, “use specialised knowledge to work with our clients, accommodating their individual needs at reasonable prices”. Currently the only company to sell itineraries to East Antarctica and the Antarctica Peninsula. Our team is committed to the destinations which we operate in and are proud members of the International Association of Antarctica Tour Operators (IAATO), the Council of Australian Tour Operators (CATO) and International Galapagos Tour Operators Association (IGTOA). For more information, click here. The Mawson’s Huts Foundation exists to conserve in perpetuity for the Australian people the unique historical buildings known as Mawson’s Huts at Cape Denison on Commonwealth Bay, base for the Australasian Antarctic Expedition of 1911-14 led by Australia’s greatest polar explorer Sir Douglas Mawson. For more information, click here.